Jean Prouvé created a great classic with his Standard Chair: It was initially designed in 1934 and reworked in 1950 by the French designer. 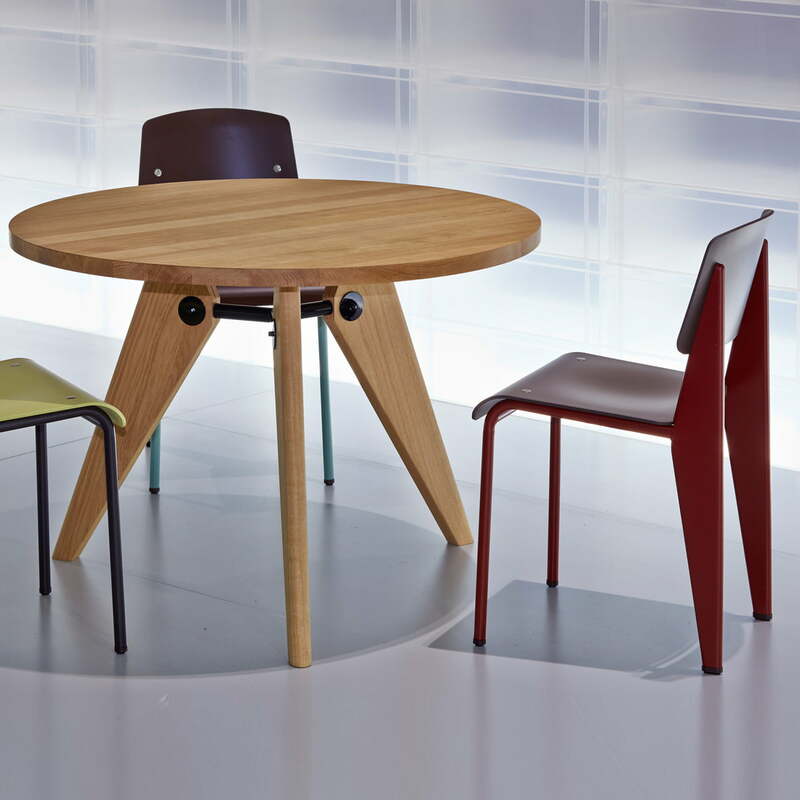 Vitra reinterpreted the chair today, making it contemporary. 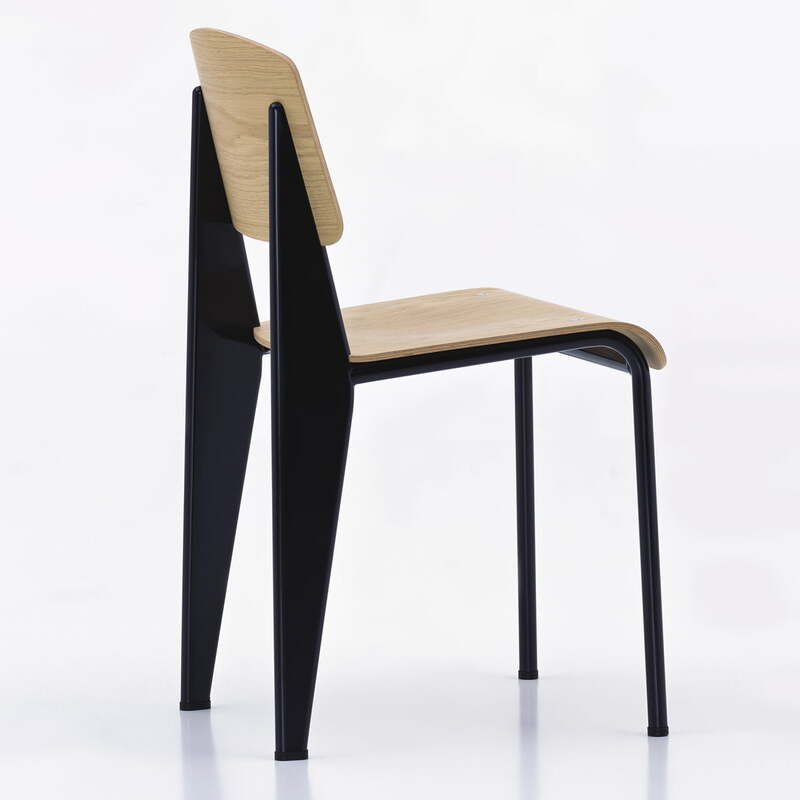 A chair has to be resistant in its back legs, since this is where the majority of the weight of the body rests. 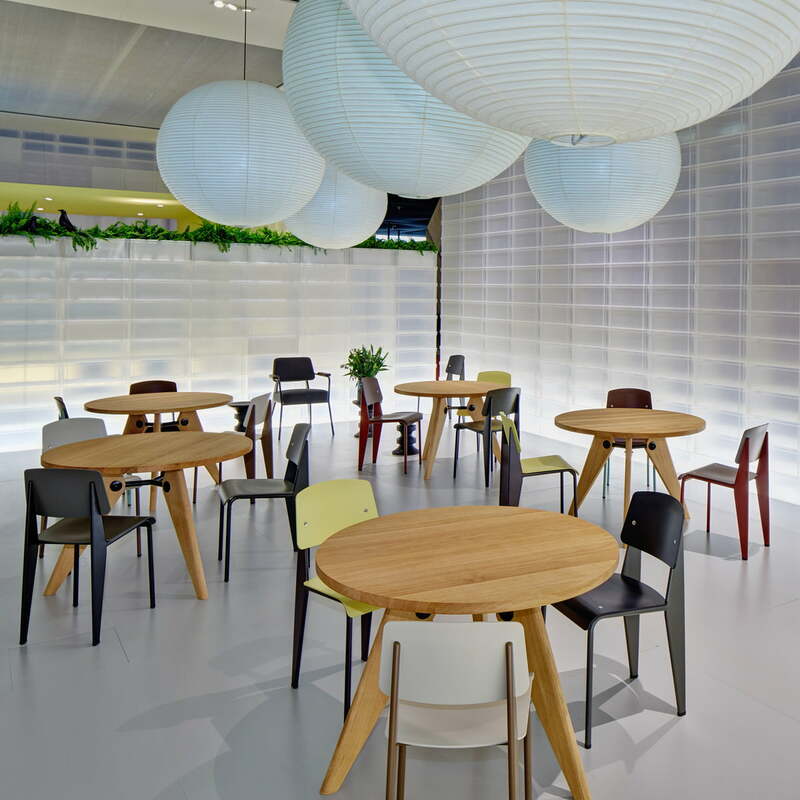 Designer and constructor Jean Prouvé realised this simple idea in a concise way in the Standard Chair: The back legs of the chair are voluminous hollow bodies, transferring the weight to the ground, while the front legs are less burdened and thus are realised with steel tubes. The Standard is a model for Prouvé’s architectural design approach: The chair follows the rules of utility and clearly presents its construction. 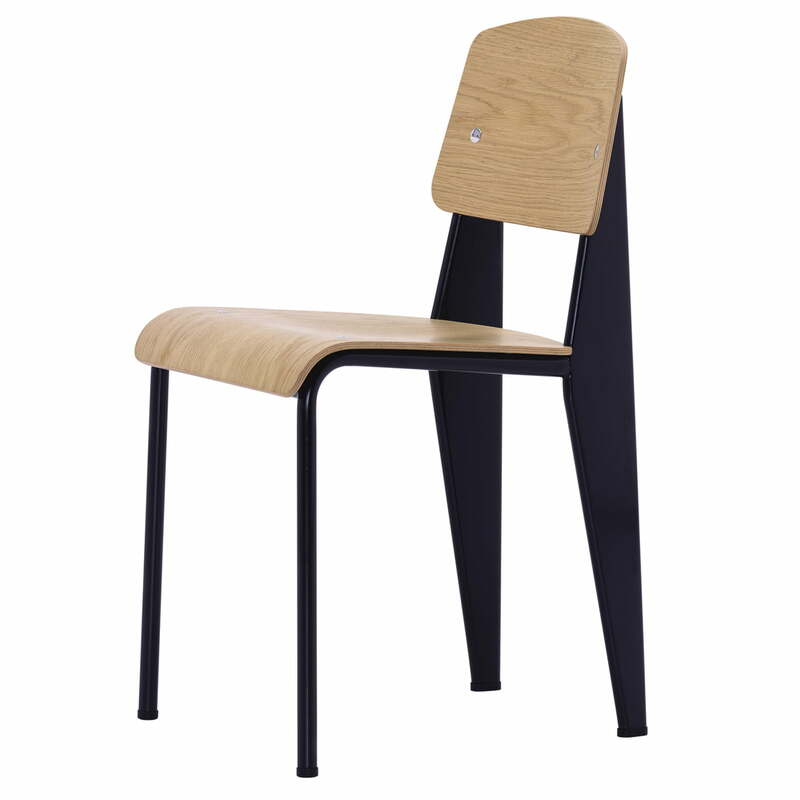 The materials are as timeless as the construction: Vitra produces the Prouvé Standard Chair out of steel and oak wood. The chair is available in different colours.